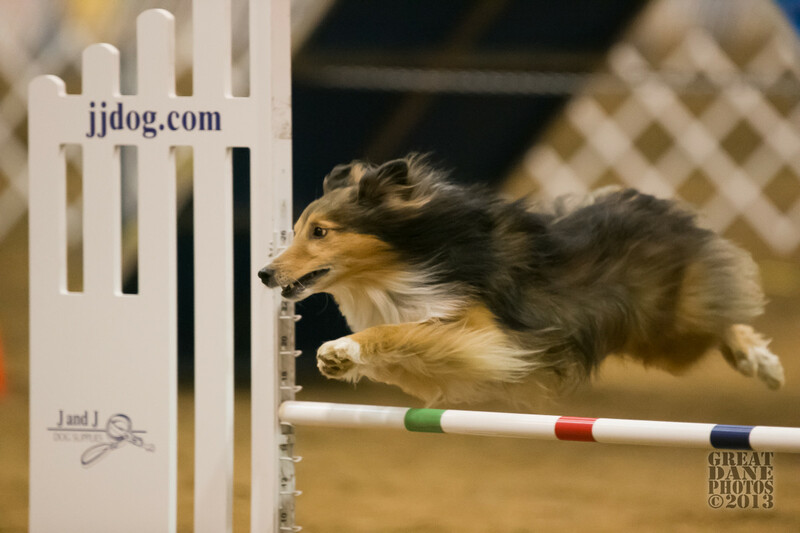 I was involved in a discussion recently about why letting losers "qualify" is causing issues in dog agility, and why it would be good to only reward those who take first place. Some people said our society is too lenient in rewarding "losers," and that winners were the ones to be celebrated. The upshot was that only winners should get the ribbons, titles, trophies and cake. 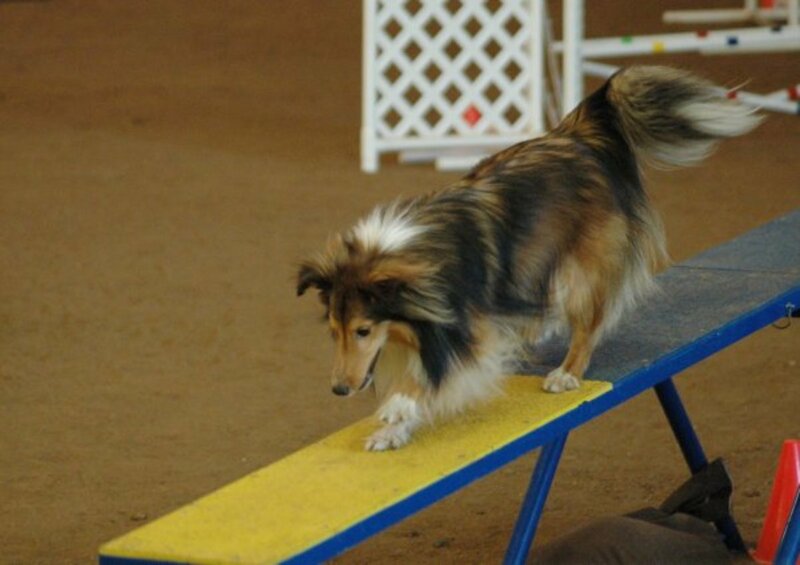 Flash forward several weeks, and I found myself at a local agility trial. 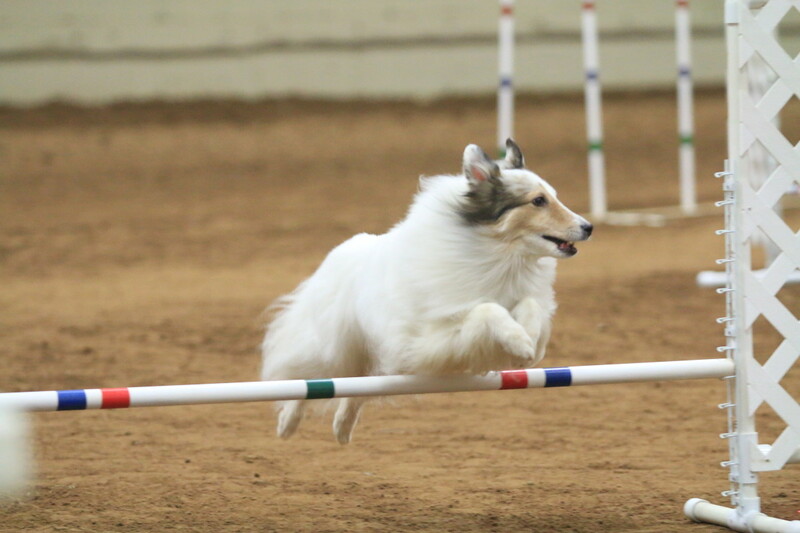 I heard competitor after competitor give excuses as to why their dog didn't qualify. "His brain isn't attached yet, so he went off course." "We haven't trained in weeks because of the weather, so she was all over the place." Whether these excuses are real or not isn't the issue here. The issue is that we feel we have to justify ourselves when we don't succeed. Whether that "success" be a qualifying score or a win, we somehow view our team as "losers" if we don't reach a certain level of success. When asked how we did, we either feel we need to quickly make excuse for why we didn't qualify, or happily announce that we ran clean if we did. Later at the same trial, I heard the crowd explode in cheers as a team with weave pole issues performed 12 perfect poles. The crowd cheered as if the team had just earned a Championship, yet the team didn't even qualify. I smiled at the crowd's approval. It made me happy. 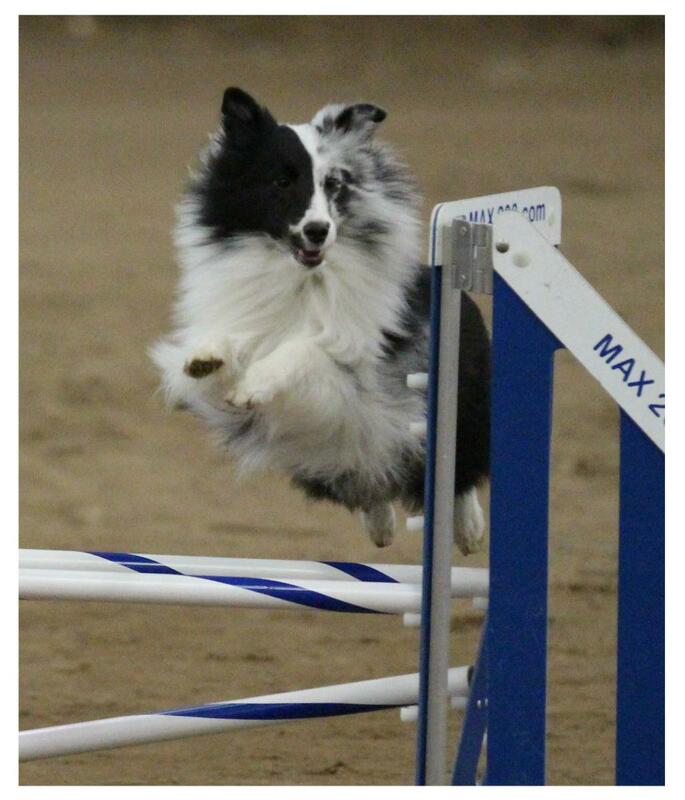 It made me happy because it touched on the most important reason for doing canine sports. Why do people engage in any sport? What is the main benefit of sport for the human? Is sport mainly about the win? Well, while that feels great and is fun, sport really isn't about the win. Is it mainly about passing a test (i.e. qualifying)? Again while that's nice, it's really not what sport is about. If winning were what sport was about, it would be a very hollow activity. 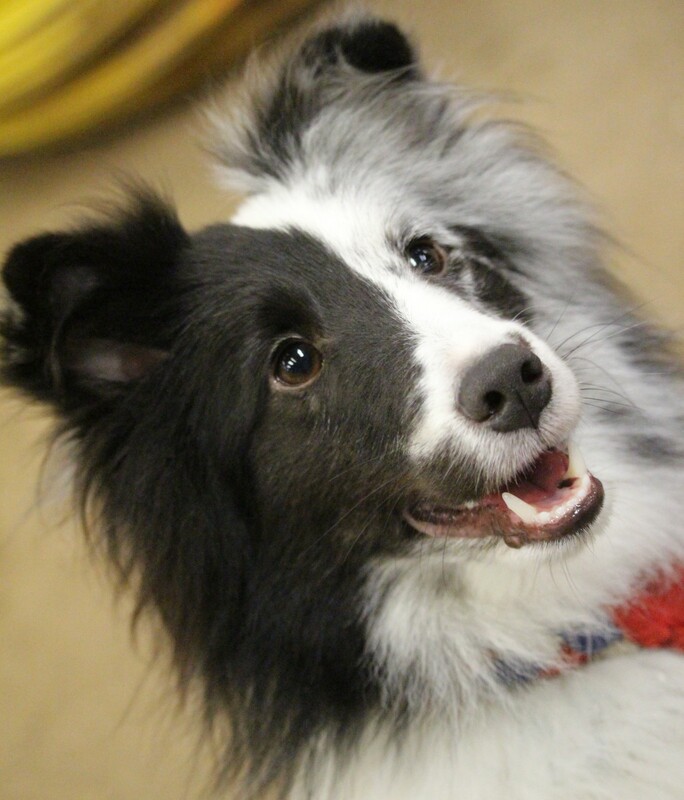 If all we got out of canine sport was the feeling of winning, most of us would quickly lose motivation. Sport at its inner core is about what happens to the human during the journey to overcome. "Oh I've heard this," you say. "It's another 'It's the Journey...not the Destination' blog." Sort of, but not quite. I'm shooting for something even deeper. When seeking a dream in sports, the human pits herself against a seemingly insurmountable obstacle. Whether she achieves that obstacle or not is not important. The growth the human makes during that attempt is where the heart of sport lies. When we pit ourselves against something as difficult as "sport," we learn much about ourselves. We learn we are determined. We learn we are strong - if not physically - then strong in will. We learn we are intelligent. We learn we are intuitive. We learn patience, We learn we can fail. We learn we are so, so much more than we thought before we attempted to achieve the sport's dream. We learn we are, in many ways that are good, human. All of this great knowledge is then transferred from the sport to other areas of our lives. We can become more intuitive with our family. We can drag the strength we discovered in sport into our work place. We can transfer the newfound knowledge of what it means to be human into our faith. We can transform all areas of our lives. All because we chose to attempt a sport with our best, furred friend. At the trial mentioned above, I went over to get a bite of cake. There were several delicious cakes laid out. 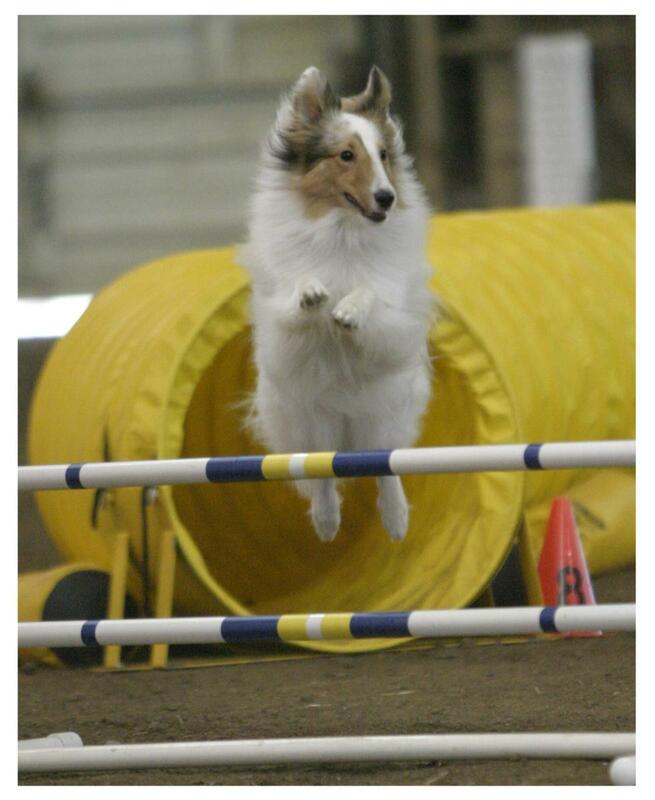 Some were cakes celebrating new agility champions. One was a Journey cake. For those who have never seen a Journey cake, it is a fairly new concept to the sport of agility. As humans, we tend to celebrate those who have achieved great success. Players from the NBA championship team go on the late night talk shows to discuss their wins. Big name golf players make millions through product endorsements. We watch news stories celebrating the Gold Medal count of our country during the Olympics. In this sport of dog agility, to celebrate our best and brightest locally, we bring cakes festooned with recently earned high level titles and names. This is a good thing. I like championship cakes. I like honoring the hard work it took to earn the Championship. 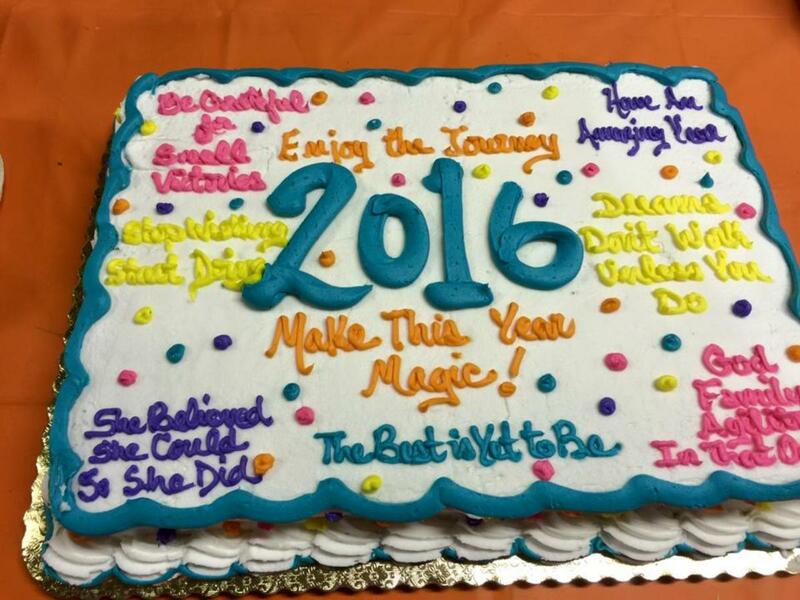 But the Journey cake is different. It celebrates what appears to be small accomplishments. It celebrates a dog who didn't run out of the ring. It celebrates a handler who remembered a course. It celebrates a dog who hit her contacts. It celebrates a dog who finally got all 12 weave poles. Rather tiny when compared to a Championship, right? No. Because there is much more to getting 12 weave poles than getting 12 weave poles. The human on the team that finally got their poles has been on a journey of growth. She has learned determination. She has learned patience. She has learned to overcome frustration. She has learned not to quit even when tears come. She has learned an even deeper love for another species. She has become a better human. In my area of the country, there is a saying that eating a cake celebrating an agility championship will give you luck for a clean run. If that is true, then eating a Journey cake must bring you a more clear vision into what sport does to those who participate. The next time you taste the sweetness of a Journey cake, know that it celebrates the sweetness of tiny victories that really point to incredible inner growth. 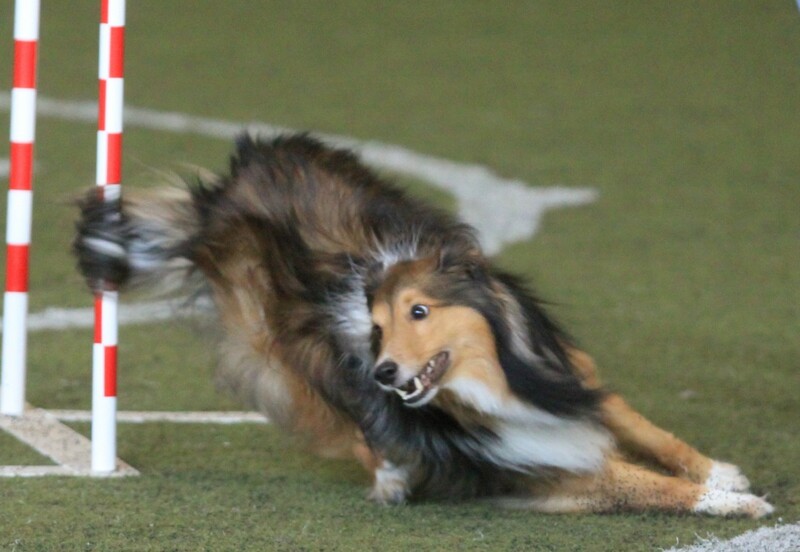 So is canine sport really about winning first place, rewarding the victors and admitting that the losers are losers? Do we, in our sport, over pamper each other, and are we too eager to hand out "participation" ribbons, cakes and celebrations? I say no. I say no because by only honoring the winners, we completely ignore the true power of sport. We completely ignore the team that never qualifies, but wins so much in the attempt. We completely ignore what it means to become a better person because of adversity. We completely ignore the incredible bond built between a dog and a handler who never quite get it together but learn to love deeply during that attempt. Next time you see a team get the contacts they have been working for years to achieve, cheer. Cheer loudly. Clap the handler on the back. You won't really be cheering for successful contacts. You will be cheering for a team who just grew 10 feet taller. I like your outlook and wholeheartedly agree. "Losing" is an integral part of learning, growing, creating. You have to fall before you fly, and practice and play without fear of being condemned or judged, even by yourself, are important. They're all part of the experience. I'm with you on the notion that winners aren't the only ones that should be celebrated. Sport, whatever type we choose, is really about testing ourselves rather than fear the possibility of losing. Nice article, Agilitymach! Well written article and quite enjoyable! But frankly, our miniature Australian Shepherd - Murphy - is already pretty arrogant and self-important. Him losing a few Agility Sports contests might be just the thing to make it easier to live with our cocky little, 'Murph the Smurf'! This is a great article. I celebrate the idea of congratulations for the "Journey" just as much as congratulations for a Q or a title. 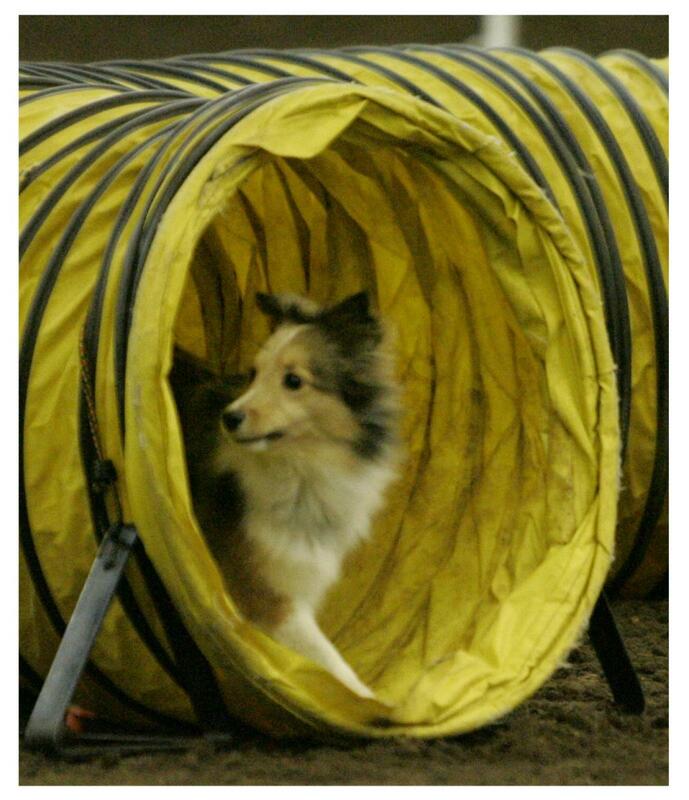 And my local agility community does as well. I have had huge issues with my younger dog biting me on course from 1) over excitement, and 2) frustration at being managed and directed as opposed to just being allowed to run the course as she thinks it should be run haha! We have been whistled off many times or I have excused us when it was just going really downhill and there was no sense in trying to continue getting through the course. We have been working and working on it for a long time to solve the issue and the people I compete with in our local area are familiar with our issues. The first time that we got through a course without any biting you would have thought that I got a MACH, the cheering was that loud. 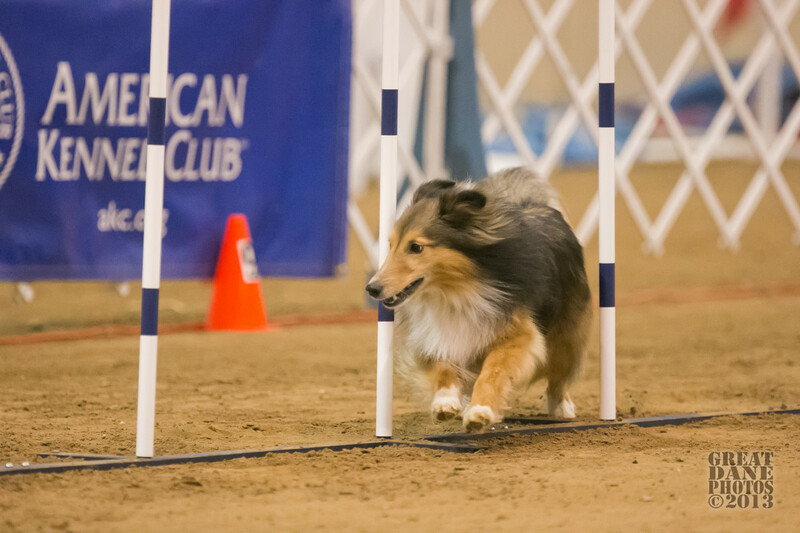 And it is the same for others in the area with issues we know about, the super nervous and shy dog that gets through half the course this time instead of running out of the ring before even the first jump, the dog that never will do weave poles or a teeter in competition and does them to Q, etc. We celebrate the small victories as much as we celebrate a stunning and perfect run or a title earned.